The Department of American Culture at the University of Michigan announces a call for papers that highlight new approaches and emerging research at the forefront of American studies. Selected papers will be presented at a conference in Ann Arbor, Michigan on March 18, 2016. This conference will feature recent Ph.D.s from around the world who are poised to advance American studies scholarship in the coming years. Together we will celebrate the 80th anniversary of our department and the emergence of the field. We seek papers that demonstrate original approaches, a wide range of emerging fields of scholarly inquiry, and compelling work in all branches of American studies. We are especially interested in scholars who have not yet published their first books, as we will be inviting editors of several academic presses to attend. We welcome proposals for papers or for panels (conventional, roundtable, state-of-the-field). This anniversary recognizes recent archival research revealing that Michigan's American Culture program is the oldest of its kind in the nation. In 1935, several U-M faculty launched a concentration in the "Development of American Culture" that was committed to an interdisciplinary exploration of national meaning and belonging. In subsequent decades, American Culture has embraced a capacious approach in which American studies has been inextricably bound up with questions of social justice. Building on this rich tradition, our program brings together African American studies, Arab and Muslim American studies, Asian and Pacific Islander American studies, digital studies, Latina/o studies, and Native American studies under the umbrella of American Culture. In addition, these interdisciplinary pursuits continue to encompass history, literature, disability studies, media studies, and queer studies. Intellectually and methodologically, our department, like the field, has been marked by a critical forward-looking perspective and a climate that promotes academic scholarship with the potential to influence social change. Applicants should submit a two-page overview of their manuscript project, a 300-word paper or panel abstract, a brief CV (two pages), and contact information. Materials should be submitted by November 15, 2015. The University of Michigan will provide lodging, meals, and travel expenses for those selected to participate. Please email your proposal and any questions to amcult.80th@umich.edu. 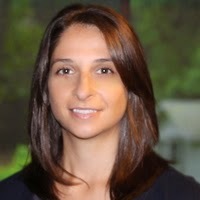 Former Legal History Blogger Clara J. Altman will commence her duties in July as the new Director of the History Office at the Federal Judicial Center. Currently, she is Visiting Assistant Professor in Law, Jurisprudence, and Social Thought at Amherst College. Congratulations, Clara! This paper explores the retirement of Chief Justice Earl Warren in 1968 and President Lyndon Johnson's unsuccessful effort to make Justice Abe Fortas Warren's successor. The collapse of the Fortas nomination led to the establishment of two significant norms: (1) a Justice should not retire during a presidential election year; and (2) a Justice should not serve as a presidential advisor. 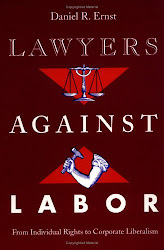 The “and” that has characterized multi- and inter-disciplinary legal scholarship over the last half century identifies law as, to some determinable extent, a system, structure, discourse, and/or field of its own, coupled with, hence cognitively open to, other such systems – economy, polity, society – but like them manifesting operative closure. Applying the conjunction to law and capitalism represents the two elements under inspection as phenomenally distinct. The application of systems theory seems quite appropriate to the determination of relations among different operative categories of action in any given society – law, economy, and so forth. But “capitalism” is not an operative category of action. It is an encompassing, holistic characterization of a particular type of society that is is both institutionally and ideationally specific. So, although the critique of functionalism is correct to disparage theories of lock-step operative responsiveness between one system (law) and another (economy), it is worth investigating to what extent, just as “‘medieval law looked, smelled, and acted medieval’ … capitalist law looks, smells, and acts capitalist.” Accepting this as a task for legal history, this paper offers preliminary thoughts on how that task might be conceptualized. Belatedly, we are posting the schedule for the annual meeting of the Society for History in the Federal Government, which took place April 24-25, 2015, at the Robert C. Byrd Center for Legislative Studies, Shepherdstown, West Virginia. Kristin Ahlberg, Office of the Historian, Department of State, “The Foreign Relation Series and Human Rights: Documenting the Carter Administration"
Dana John Stefanelli, Smith Library, Mount Vernon, “Federal City Studies: Digital Research and Data Sharing About Early Washington, DC. At the turn of the 20th century railroad regulation was hotly debated in the US. Railways were accused of abusing of their monopolistic positions, in particular by discriminating rates. Public opinion’s pressure for tighter regulation led to the 1906 enactment of the Hepburn Act, which strengthened the powers of the Interstate Commerce Commission. American economists actively participated to the debate. While most of them sided with the pro-regulation camp, the best economic analysis came from those who used the logic of modern law and economics to demonstrate how most railroads’ practices, including rate discrimination, were simply rational, pro-efficiency behavior. However, as relatively unknown Chicago University economist Hugo R. Meyer would discover, proposing that logic in public events could at that time cost you your academic career. The controversy over railroad rates regulation represented a fundamental component of the jurisprudential trajectory that, culminating in Lochner v. New York, led to the era of so-called laissez faire constitutionalism. Constitutional protection of property required that regulation be such as to preserve the value of the regulated business. The paper builds on Siegel 1984 to argue that, by indicating in Smyth v. Ames (1898) reproduction cost as the correct technique to calculate the value of a railways, the Supreme Court retained its allegiance to the fundamental tenets of classical political economy even in a period of massive economic transformations, when classical economics was increasingly viewed as unable to capture the new reality of American industrial life. "Siegel 1984" is a reference to Stephen A. Siegel’s “Understanding the Lochner Era: Lessons from the Controversy over Railroad and Utility Rate Regulation,” Virginia Law Review 70 (1984): 187-263. I was a graduate student working under Stanley Kutler in the early 1970s. As has been too often the case over the past four decades, academic jobs were in short supply when I received my Ph.D. in 1973. Moreover, I was relatively clueless about how to get a job or how to survive and get ahead in the academic world. Stanley Kutler, however, came to the rescue. He seemingly knew everyone in the history profession, and he was not reluctant to tell them all that they should hire me. He was not one to shed his commitment to his graduate students once they had dotted the last "I" in their dissertations. Instead, he was ready and willing to remain a mentor and aide. I eventually obtained a tenure-track position, and throughout my years teaching United States Constitutional History I assigned Stanley Kutler's reader The Supreme Court and the Constitution. Though I eventually left the field of legal history, I remained indebted to Stanley Kutler for his aid and guidance during the early years of my career when I very much needed the help he provided. I remember Stan with fondness. He served as my dissertation advisor at Wisconsin during the 1970s. Stan was a wonderful major professor. He was always on the alert to ease my life as a graduate student coming to school after service in Vietnam. He made sure that I had access to whatever sources of financial aid were available. I worked as his research and teaching assistant. All too often, major professors neglect the more mundane aspects of a graduate student's life. Stan did not. He was helpful to me in more unorthodox ways. For example, he convinced the History Department to consider my law degree as proof of competence in one of the "foreign languages" required by the program. That certainly simplified my entrance into the Ph.D. program. He helped me choose a dissertation topic and then took care in selecting the members of my dissertation review committee to guarantee that there would be no problems at the oral examination. He took an active interest in casting about for jobs when I went "on the market" and, correctly, urged me to take on the Daniel Webster project with Fred Konefsky. In retrospect that turned out to be great advice. I will always cherish the active support and encouragement Stan gave me in my career. The ASLH is accepting proposals for possible sessions at the next American Historical Association conference (to be held in Atlanta, GA, Jan. 7-10, 2016). As an AHA Affiliate, ASLH is able to sponsor sessions at the organization’s annual conference. 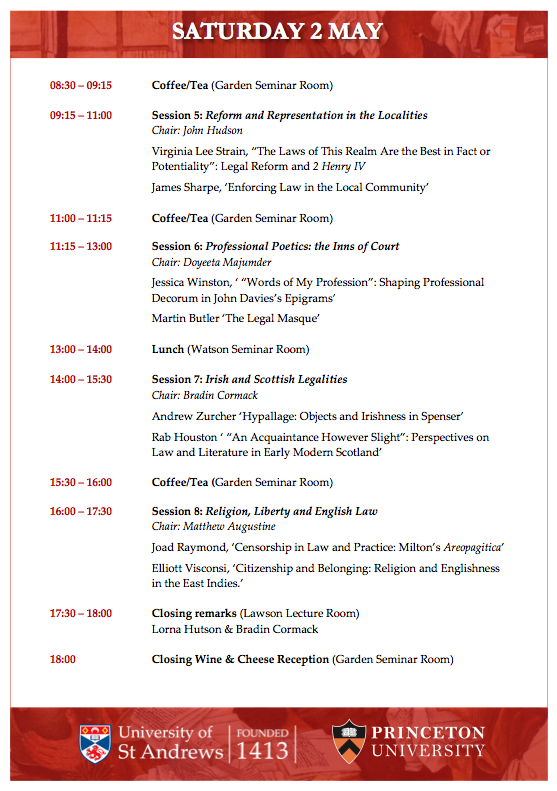 Affiliate-sponsored sessions convene at the regular conference venues and appear on the AHA program.​ We are especially interested in sponsoring sessions that examine the history of law across a global landscape, sessions that address the state of the field, and sessions that focus on teaching legal history in a variety of settings, especially undergraduate survey courses. All proposed panelists need to be members of ASLH. Members of ASLH outside the United States are welcome to participate in ASLH-sponsored AHA sessions. Optional: One or two sentence session description (up to 100 words), if desired. We are thrilled to announce that the American Bar Foundation has announced former LHB Guest Blogger Ajay K. Mehrotra as its new Director. 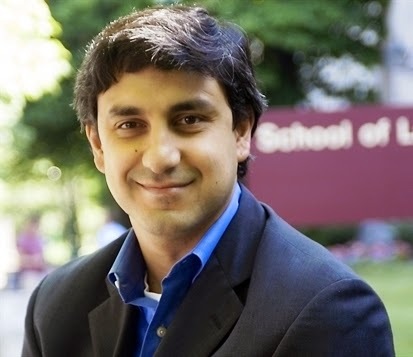 The holder of a JD from Georgetown and a PhD from the University of Chicago, Professor Mehrotra has taught tax law and written on the history of taxation in the United States while a member of the faculty of the University of Indiana-Bloomington Maurer School of Law, where currently he is Associate Dean for Research. LHB readers know that his Making the Modern American Fiscal State: Law, Politics, and the Rise of Progressive Taxation, 1877-1929 (New York: Cambridge University Press, 2013), won the annual book award of the Society for US Intellectual History for 2014 and that through his scholarship and organizational efforts Mehrotra has established a legal historical presence within the emerging field of fiscal sociology. Next month he'll be part of a congressional briefing on American Families, Global Competition, and Comprehensive Tax Reform in Historical Perspective sponsored by the National History Center. 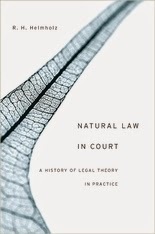 Out next month from the Harvard University Press is Natural Law in Court: A History of Legal Theory in Practice by R. H. Helmholz, the Ruth Wyatt Rosenson Distinguished Service Professor of Law at the University of Chicago Law School (and, fwiw, one of the legal historians who made me what I am today). The theory of natural law grounds human laws in the universal truths of God’s creation. Until very recently, lawyers in the Western tradition studied natural law as part of their training, and the task of the judicial system was to put its tenets into concrete form, building an edifice of positive law on natural law’s foundations. Although much has been written about natural law in theory, surprisingly little has been said about how it has shaped legal practice. Natural Law in Court asks how lawyers and judges made and interpreted natural law arguments in England, Europe, and the United States, from the beginning of the sixteenth century to the American Civil War. R. H. Helmholz sees a remarkable consistency in how English, Continental, and early American jurisprudence understood and applied natural law in cases ranging from family law and inheritance to criminal and commercial law. Despite differences in their judicial systems, natural law was treated across the board as the source of positive law, not its rival. The idea that no person should be condemned without a day in court, or that penalties should be proportional to the crime committed, or that self-preservation confers the right to protect oneself against attacks are valuable legal rules that originate in natural law. 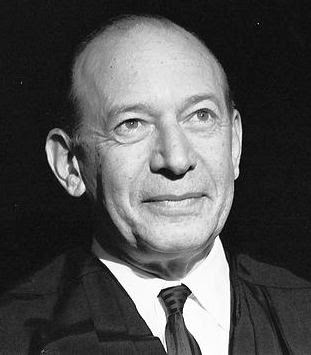 From a historical perspective, Helmholz concludes, natural law has advanced the cause of justice. Stanley Kutler's death is a melancholy milestone of sorts in the study of American constitutional history. He was one of the last of the great mentors in the field. Decades ago, Maeva Marcus began to worry about the impending loss of mentors who produced the faculty who today teach constitutional history in history departments and law schools. (It is no consolation that a similar disappearance seems to be taking place in the public law subfield of political science.) She responded by laboring indefatigably to create and sustain the Institute for Constitutional History, now housed jointly by the New-York Historical Society and the George Washington University Law School. It remains to be seen whether this valiant effort can provide a substitute for the role played by great teachers like Kutler, Harold M. Hyman, Paul L. Murphy, and James G. Randall in mentoring the constitutional history teachers now reaching senior status and beginning to retire or pass from the scene. Constitutional history courses have nearly disappeared from history department catalogues as intellectual currents in the field have swung in other directions. Making matters worse, many of those teachers (myself included) moved over to law schools, enriching the intellectual life of their new homes but depriving undergraduates of the opportunity to explore the development of the Constitution. 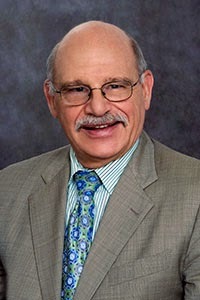 These reflections are prompted by memories of Stan's first seminar in American constitutional history at the University of Wisconsin from 1965 to 1967. Gordon Bakken, Michal Belknap, and I were Stan's original students. Stan was at that time writing Judicial Power and Reconstruction Politics (1968), and he invited us to share in that work. The exchange of ideas in that seminar was particularly exciting because we knew that our seminar efforts were helping shape and enrich a book about to be published. After that our careers and research interests went in different directions. Mike has become a leading scholar of legal aspects of the Cold War and McCarthyism, while Gordon went on to be the nation's foremost historian of the public and private law of the western states. Stan first moved backwards in time to produce Privilege and Creative Destruction: The Charles River Bridge Case (1978) before finding his life's work in ferreting out the misdeeds of the Nixon White House (The Wars of Watergate: The Last Crisis of Richard Nixon ; Abuse of Power: The New Nixon Tapes ). In the seminar as well as in his undergraduate classes, Stan was a dynamo of energy. He was excited by doing history and cherished the opportunity that it provided him and us to think anew about the past. As a graduate teacher and mentor, that was his greatest gift to us. Because of his dogged pursuit of the Nixon tapes, people who did not know him well assumed that he was just another anti-Nixon zealot. The truth was more complicated and more interesting. It was a point of pride to discover himself on Nixon's notorious "hit list." But like all of us who study Nixon, he found the man fascinating, amusing, exasperating, even sympathetic to some degree. Stan was above all a historian, determined to pursue the truth for its own sake, especially in new kinds of primary sources like the White House tapes. He was zealous, but his zeal was for the integrity of the past and its truthful exposition. The graceful tributes to Stan that have appeared in the weeks since his death chronicle his achievements and extol his stubborn struggles with those who would suppress historical truth by cutting off access to evidence and sources. It is there, I think, that we find his most enduring legacy. Stan would be pleased. 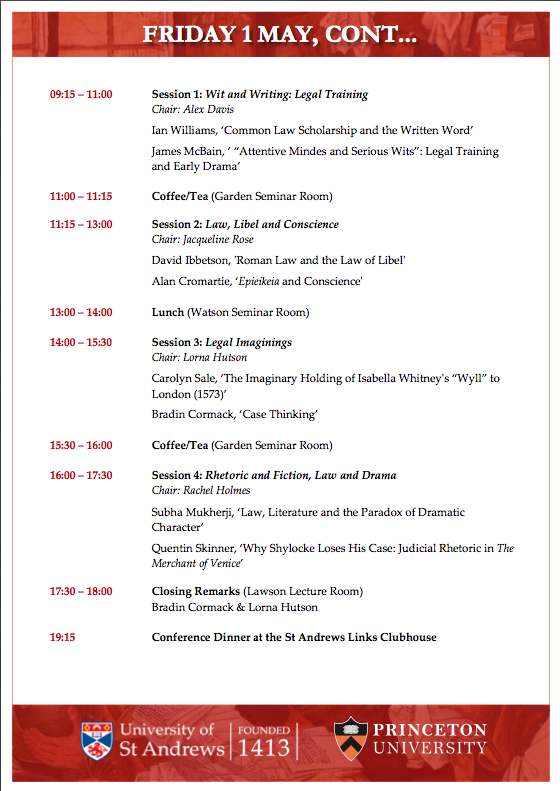 We've previously posted the schedule for the first stage of the two-part, transatlantic conference, "The English Legal Imaginary." Part 2 starts later this week at St. Andrews. We're told that registration is now closed but also that anyone particularly keen to attend might try contacting reh32@st-andrews.ac.uk. The William Nelson Cromwell Foundation has generously funded a dissertation prize of $5,000. The winning dissertation may focus on any area of American legal history, including constitutional and comparative studies; topics dealing with the colonial and early national periods will receive some preference. Anyone who received a Ph.D. in 2014 will be eligible for this year’s prize. The Foundation awards the prize after a review of the recommendation of the Cromwell Prize Advisory Committee of the American Society for Legal History. To be considered for this year’s prize, please send one hard-copy of the dissertation and the curriculum vitae of its author to John D. Gordan, III, Chair of the Cromwell Prize Advisory Committee, and each member of the Cromwell Dissertation Prize Advisory Subcommittee with a postmark no later than May 30, 2015. 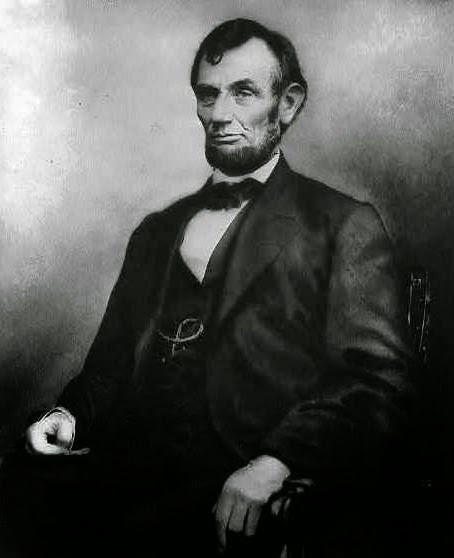 “Abraham Lincoln, lawyer for the slave-owner, Robert Matson,” does fit the description of a Great Emancipator. The fact remains that he did work zealously for Matson. This article argues that the Matson case does not contradict Lincoln’s well-known reputation for hatred of slavery. Rather, in that case he acted in the tradition of John Adams who risked his reputation to represent the British soldiers who perpetrated the Boston Massacre. 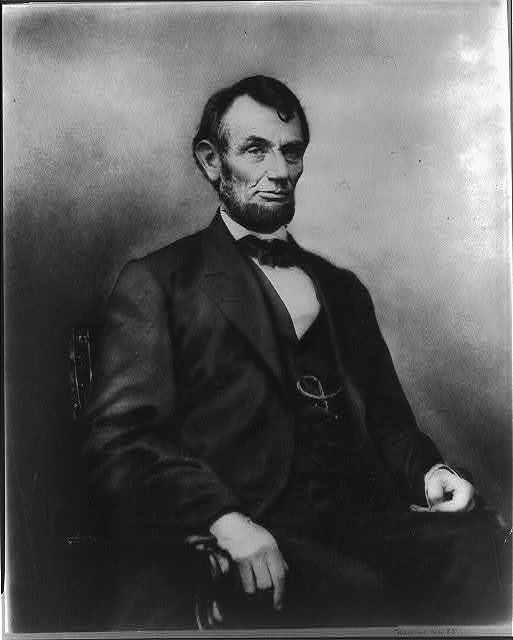 The article first describes Lincoln’s participation in the Matson case, including an analysis of the habeas corpus hearing that preceded it. It continues with a description of Lincoln’s skills as a trial lawyer. It then discusses the antebellum ethical rule enunciated by Lord Brougham and other leading scholars who said that zealous advocacy was required for even the most odious clients. The article concludes that Lincoln was following this rule and that the rule is still valid today. It maintains that Lincoln was acting on the highest level of professionalism in the sole case where he represented a slave owner. 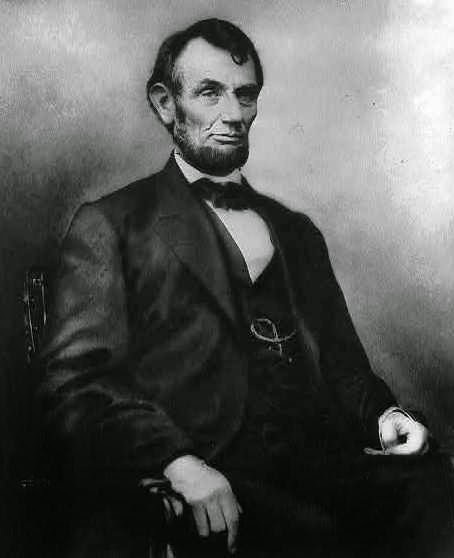 This essay examines the constitutional legacy of President Abraham Lincoln, the most important constitutional interpreter in our nation's history. The Civil War was -- in addition to so much else -- a defining act of national constitutional interpretation. The war was fought over fundamental questions of the Constitution's meaning, and over who would have final authority to determine that meaning. The most significant issues of antebellum constitutional dispute -- the present and future status of slavery; the question of who possessed constitutional power to determine that status; the nature of the "Union" and the question of whether a state lawfully could secede; matters of national-versus-state constitutional supremacy and "sovereignty" -- received their final "adjudication" not in any court of law but on the battlefields of the Civil War. It was the case of Grant v. Lee, reduced to final judgment at Appomattox Court House 150 years ago, that constituted the nation's determination of these issues, and that determined also the entire constitutional future of the United States. None of this would have happened had Lincoln not considered himself bound by his oath to advance his independent constitutional views concerning Dred Scott, slavery, Union, national constitutional supremacy, and presidential military powers -- views that frequently placed him at odds not only with the views of nearly half the nation, but often with the Supreme Court as well. 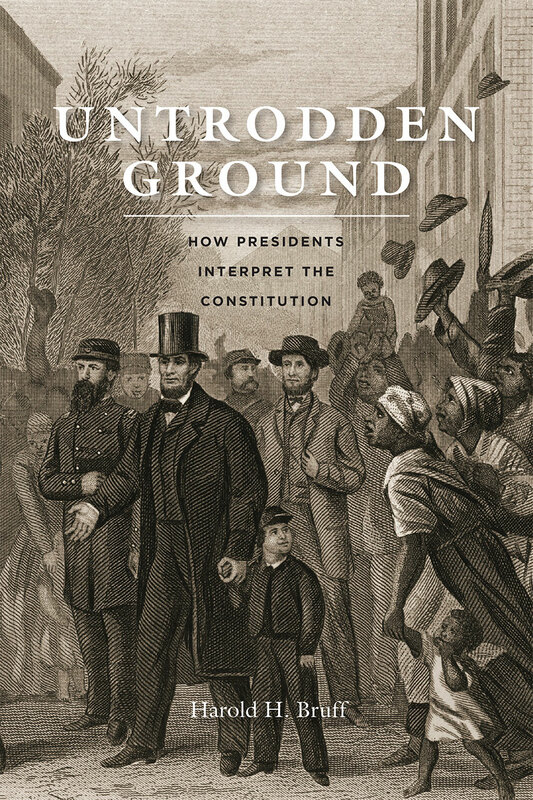 New Release: Bruff on "How Presidents Interpret the Constitution"
"There is no better book for understanding how presidents interpret the Constitution than Untrodden Ground. No one knows the subject better than Bruff. His book is an instant classic, drawing on a lifetime of learning, invaluable experience, extraordinary research, and unique and profound insights. Everyone, including presidents and the people who work for them, can learn a great deal from this terrific book. Indeed, I would suggest, no one should work in the White House or executive branch—or seek to critique what they do—unless they have first read this book and taken its lessons to heart." In the beginning there were only four of us. When Stan Kutler arrived at Wisconsin in 1964 as an associate professor the department cobbled together a seminar for him. Bill Wiecek, was a new Harvard JD and I had just received my bachelors degree from UCLA. Both of us had expressed some interest in law and the Constitution. The department gave us to Stan, along with Susan Previant Lee, who would eventually abandon history for newspaper writing, and Gordon Bakken, who still had a few credits to go to finish his BA at Madison. Not a lot to work with. But with the energy and infectious enthusiasm for which he would become noted (and a great deal of the hard work he demanded from us), Stan Kutler managed to turn this unpromising little band into a group of pretty productive historians. Two years later Bill, Gordon, and I had all passed our prelims. They were soon well on the way to writing their dissertations. I, on the other hand, was off for a two-year hitch in the Army, the result of an ROTC scholarship that had helped to pay for my undergraduate education. When I returned, Bill and Gordon were heading out to first jobs, Bill at Missouri and Gordon at Cal State Fullerton. About all I had to show for the intervening two years was an Army Commendation Medal for (forgive me Stan) protecting Richard Nixon. While I was away, things had changed quite a bit. The tiny band I had joined in 1965 had grown into a large and vigorous seminar. As its senior member, I was supposed to be writing a dissertation. But I did not even have a topic. I started proposing ones I thought would be interesting and Stan started shooting them down, one after another. Then one day he took me to lunch. The Chicago Conspiracy trial was dominating the news, and he suggested political trials might make a good topic. That sounded much more exciting than the ones I had been proposing. But after a week or two of reading, I concluded it was just too big. There did seem to be a lot of parallels, however, between what was then going on in Chicago and the 1949 conspiracy trial of the leaders of the Communist Party of the United States. Unlike most of my previous ideas (which in all honesty were duds), that one appealed to Stan. Little did either of us realize that he had guided me to a topic that would come to dominate my academic career and to which, after a book and numerous articles on Dennis v. United States, I have now returned to write a revisionist book attacking my own earlier work. While immensely productive, my mentor-student relationship with Stan Kutler was not always an easy one. In 1970 the history TAs went out on strike. Because I was on a fellowship and had not been a TA since before I left for the Army, I was ineligible for membership in the union. But my roommate was a shop steward, and when he asked me to participate in the picketing, I agreed. I did so despite being aware that Professor Kutler was opposed to the strike. I considered joining the TAs who were picketing 4:00 a.m food delivers to the Lakeshore Dorms, a safe demonstration of solidarity with the union that I knew he would never ever learn about. But that seemed like a rather cowardly way to demonstrate my support for the strikers. So instead I joined a group of TAs who were picketing the building in which Stan’s office was located. To put it mildly, that did not go over well with my mentor. After reading me the riot act, he threw me out of his office. For several agonizing hours, I was sure my academic career was over. Then the phone rang. It was Stan, calling to apologize. Rather than being over, our relationship grew closer and more productive as the years passed. It seemed Stan was always coming up with ways to make my ideas into something better. In my book on Dennis, I had included a fragmented and unexciting discussion of the disciplinary actions taken against the defendants’ lawyers. In Stan’s hands that subject became a chapter in his prize-winning book, The American Inquisition. My dry academic monograph on the Court martial of Army Lieutenant William Calley for Vietnam’s My Lai Massacre inspired him to write an off-Broadway play. That too was a vast improvement on what I had done. The last time I ever saw him, Stan was still at it. Initially, he greeted my idea of doing a second book on Dennis with what could charitably be called extreme skepticism. Later, although not in good health, he came all the way over from Madison to Milwaukee, where I was presenting a paper on the subject at the Marquette Law School. We had dinner, and as always, he was full of suggestions about how I could improve what I was planning on doing. That dinner was quintessentially Professor Stanley Kutler, and it is a memory I will treasure forever. 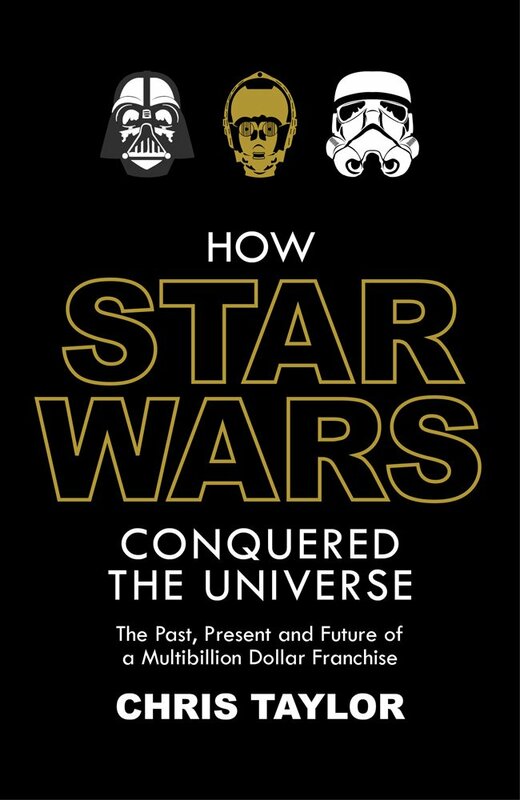 This week in The New Rambler, Cass Sunstein reviews Chris Taylor's How Star Wars Conquered the Universe: The Past, Present, and Future of a Multibillion Dollar Franchise (Head of Zeus) in a piece titled "How Star Wars Illuminates Constitutional Law (and Authorship)." "My major theme shall be the immense role of serendipity and happenstance in the creative imagination, certainly in single-authored works, but even more in multi-authored ones extending over time. Serendipity imposes serious demands on the search for coherence in both literature and law (and history and life as well). That search leads some people (like Lucas) to become “originalists” of one or another kind, pointing to some sort of Journal of the Whills and suppressing the nature of their own creativity and authorship. The suppression appears to respond to a serious human need, even craving (in both literature and law), but it is a significant obstacle to understanding and critical reflection. To readers who are not interested in Star Wars, a cautionary note: Some of the following is going to seem (let’s say) a bit obscure; you might want to do some serious skimming. We’ll get to the larger themes before long." Michael Schulson interviews Kevin Kruse regarding his One Nation Under God: How Corporate America Invented Christian America (Basic) for Salon. Jilly Leovy's Ghettoside: A True Story of Murder in America (Speigel & Grau) is reviewed in the Los Angeles Review of Books. Also in the Los Angeles Review of Books there is a review Gordon Park's photoessay, Gordon Parks: Segregation Story (Steidl). History Today has a review of Sven Beckert's Empire of Cotton: A New History of Global Capitalism (Allen Lane). 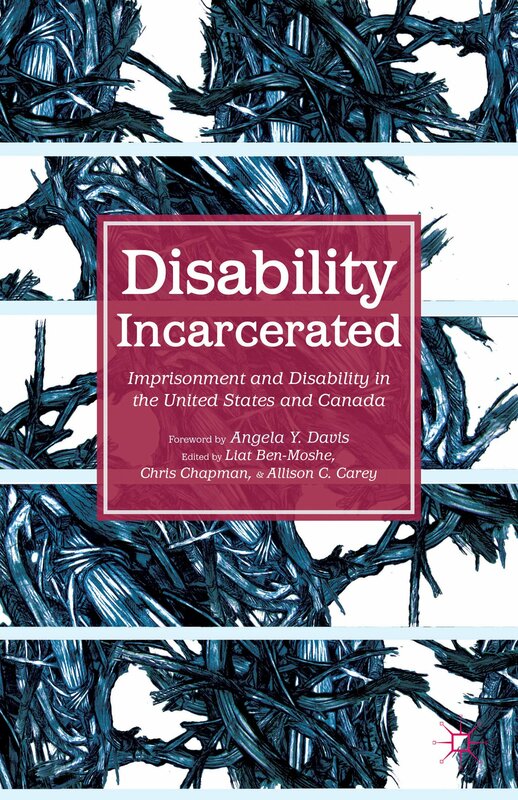 H-Net has review Disability Incarcerated: Imprisonment and Disability in the United States and Canada edited by Liat Ben-Moshe, Chris Chapman, Allison C. Carey (Palsgrave Macmillan). "Rooted primarily in Foucauldian methodologies, the various contributions offer historically focused accounts of incarceration and disability, which set out to speak to present-day concerns in American and Canadian societies. The sociological methodologies are pronounced but not overwhelming. 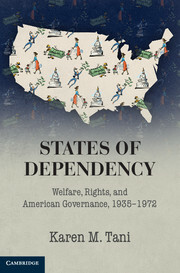 All of the essays are well written and insightful and force us to reconsider key themes in the history of disability and medicine, including the social dynamism of prisons and asylums, the racing and gendering of "imprisoned" subjects, the uses of biopower in regulating society and managing those who fail to conform, and the historical roots of present-day social elimination." There's also a review of David William's I Freed Myself: African American Self-Emancipation in the Civil War Era (Cambridge University Press), as well as a review of Emily Blanck's Tyrannicide: Forging an American Law of Slavery in Revolutionary South Carolina and Massachusetts (University of Georgia Press). 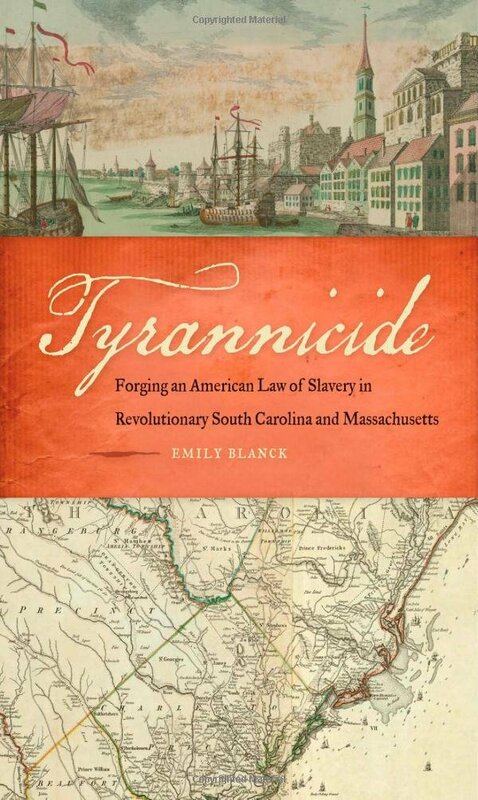 "Emily Blanck argues that the fugitive slave clause of the United States Constitution (Article IV, Section 2) had its roots in a 1783 ruling by Justice William Cushing of the Massachusetts Supreme Judicial Court to grant a writ of habeas corpus freeing eight South Carolina slaves being detained in jail in order to be returned to their masters. This decision, Blanck contends, led South Carolina’s delegates at the Constitutional Convention to insist on the inclusion of a fugitive slave clause in the newly drafted frame of government and Massachusetts’s delegates shaping that clause to reflect the growing antislavery sentiment in that state. In the process, Blanck reveals, the divisions between northern and southern states, free and slave, usually associated with the antebellum period, began in the earliest days of the Republic. She does so by highlighting the divergent local histories of slavery in Massachusetts and South Carolina, the national history of compromise on the issue between political elites, and the role that African Americans played in shaping those local and national discussions." 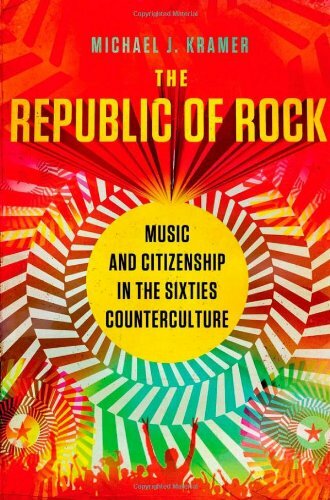 Michael J. Kramer's The Republic of Rock: Music and Citizenship in the Sixties Counterculture (Oxford University Press) is reviewed on H-Net. "Specifically, Kramer “argues that rock most of all inspired a counterculture defined by issues of citizenship.... I call this polity of sound the republic of rock” (p. 9). Kramer goes on to explain that for many young rebellious Americans vested in the counterculture project, whether they lived in San Francisco or found themselves fighting in Vietnam, rock became a form through which they could interrogate and resist the assimilatory power of “hip capitalism” and “hip militarism” and by so doing create and maintain their own “counterpublic sphere” (pp. 13, 20). In this sphere, men and women used rock to imagine and act out new forms of community and liberatory individual freedom." Yet another up on H-Net is a review of Peter Baldwin's The Copyright Wars: Three Centuries of Trans-Atlantic Battle (Princeton University Press). Congratulations to Justin Simard (Ph.D. candidate, University of Pennsylvania), who has been selected as a Baldy Postdoctoral Fellow by the Baldy Center for Law and Social Policy. History News Network interviews Logan Sawyer, Georgia Law (visiting this year at Harvard Law) at the annual meeting of the Organization of American Historians, where he spoke about the conservative movement’s adoption of originalism. Around the Symposia: Ariela Gross, USC Gould School of Law, presented From the Streets to the Courts: The Grassroots History of Race, Law and Conservatism to the Center for the Study of Law and Society, Berkeley Law, on April 20. Three days later, William E. Forbath, University of Texas School of Law, presented on Law & Government at the Vanderbilt University Law School. H/t: Legal Scholarship Blog. Leopold and Loeb (and Tsarnaev) on JSTOR Daily. In an earlier post, we noted legal history in the journals of state historical societies. 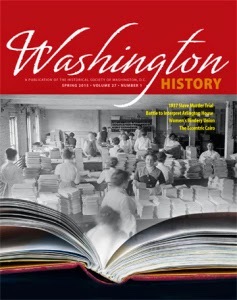 Now comes the Spring 2015 issue of Washington History, a publication of the Historical Society of Washington, DC, which includes "'Horrible Barbarity': The 1837 Murder Trial of Dorcas Allen, a Georgetown Slave." ICYMI: Jill Lepore, The Rule of History: Magna Carta, the Bill of Rights, and the Hold of Time, in the April 20 issue of The New Yorker. And over at New Books in History, Jennifer Delton, Skidmore College, discusses her Rethinking the 1950s: How Anticommunism and the Cold War Made America Liberal (Cambridge University Press, 2013). "The American Historical Association has sent a letter to the Atlanta Convention and Visitors Bureau decrying Georgia's proposed 'Religious Freedom Restoration Act,' which would establish a vendor's right to refuse goods or services to individuals based on their religion, sexual orientation, marital status, or whatever other factors might emanate from religious doctrine or practice." The Law and Society Association has announced the winners of its 2015 awards. We're excited to see that recent guest blogger Mitra Sharafi (University of Wisconsin) picked up the J. Willard Hurst Award for the best book in Socio-Legal History published within last two years. Here's the citation. 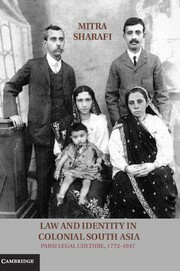 Law and Identity in Colonial South Asia: Parsi Legal Culture, 1772–1947 (Cambridge University Press, 2014). Honorable mentions went to another recent guest blogger, Sophia Z. Lee, for The Workplace Constitution: From the New Deal to the New Right (Cambridge University Press, 2014), and to Ekaterina Pravilova for A Public Empire: Property and the Quest for the Common Good in Imperial Russia (Princeton University Press, 2014). The American Society for Legal History (ASLH) will host a Student Research Colloquium (SRC) on Wednesday, October 28, and Thursday, October 29, 2015, immediately preceding the ASLH's annual meeting in Washington, DC. The SRC will offer a small group of graduate and law students an opportunity to work intensively on in-progress dissertations and law review articles with distinguished ASLH-affiliated scholars. The target audience for the SRC includes early post-coursework graduate students and law students interested in legal history. Each participating student will pre-circulate a twenty-page, double-spaced paper to the entire group. These papers will provide the foundation for discussion at the colloquium. Stipends will either partially or completely cover the travel, hotel, and registration costs of attending the annual meeting. Students working in all chronological and geographical fields, including non-U.S. history, are encouraged to apply. 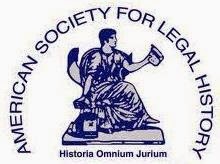 Students who have not received any formal training in legal history, but whose projects engage legal-historical themes, also are encouraged to apply, as are students who have not previously participated in the Society's activities. A student may be on the annual program and participate in the SRC in the same year. a two-page, single-spaced "research statement," describing an in-progress dissertation or law review article. The application deadline is June 1, 2015. Organizers will notify all applicants of their decisions by July 15, 2015. Please direct questions and applications to John Wertheimer at the following e-mail address: srcproposals@aslh.net. The following book prizes were awarded at the recent annual meeting of the Organization of American Historians. Jessica Wilkerson, University of Mississippi, for “Where Movements Meet: From the War on Poverty to Grassroots Feminism in the Appalachian South,” (Ph.D. diss., University of North Carolina, Chapel Hill, 2014). The Willi Paul Adams Award went to Jürgen Martschukat, Erfurt University. The Louis Pelzer Memorial Award went to Christopher M. Florio, Princeton University. And the Binkley-Stephenson Award went to James D. Rice, State University of New York at Plattsburgh, “Bacon’s Rebellion in Indian Country,” Journal of American History 101 (December 2014). The Friend of History Award went to Colin G. Campbell, Chairman Emeritus, Colonial Williamsburg Foundation. It is now widely recognized that medieval law was more than a system of words and ideas, confined to lawyerly debate and scholarly treatises. Recent scholarship has shown how legal categories and discourses were interwoven with social relations and praxes, mentalities and ideologies, and the operation of the economy. But there is a different dynamic of medieval law that has yet to be explored, namely, the way in which it was implicated in the construction of materiality. Legal discourse in the Middle Ages provided a means of differentiating “what” was matter, what was not, and what attributes it might possess. Thus, medieval legal processes were ontological processes. 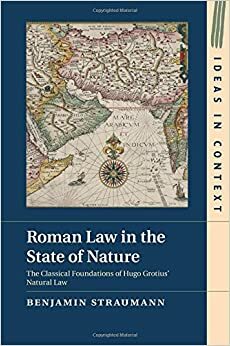 New Release: Straumann, "Roman Law in the State of Nature"